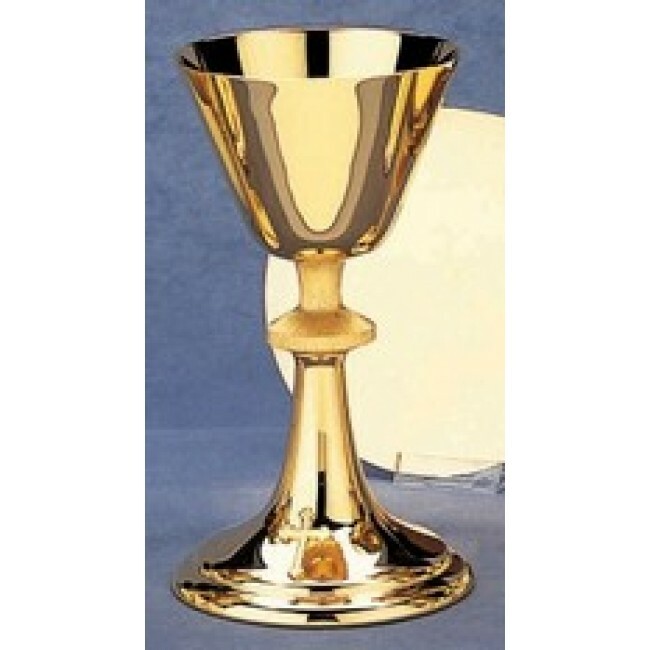 Alviti Ciborium 24KT gold plate. Height 8 ½". Cup diameter 4 ¼". 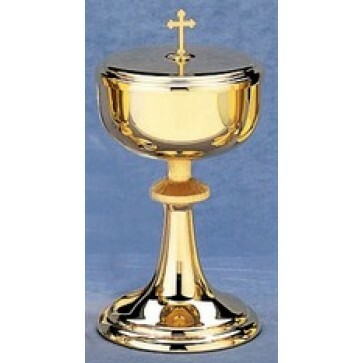 This radiant, highly polished 24KT Ciborium will make a beautiful gift for ordination or to be engraved in memory of a loved one. It measuers 8 ½" high, cup diameter is 4 ¼" with the host capacity of 165. 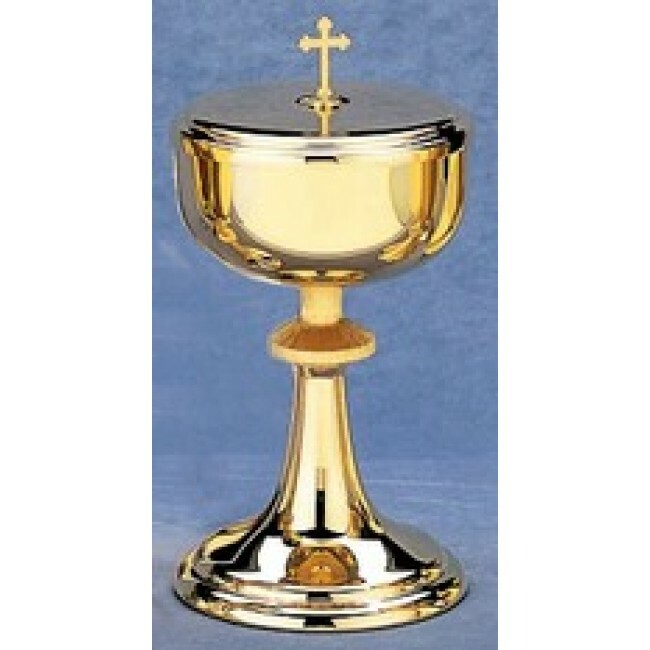 Ciborium is available in sterling silver or silver plate. Please call for price quote for alternate finshes and personal engraving. Host capacity based on 1 3/8" thin.